Can you tell us a little bit about Hogan Lovells’ history in Latin America? Hogan Lovells’ Latin America practice is a leader in the dynamic Latin American region, often advising on many of the region’s most complex and ground-breaking matters. The team regularly receives top rankings and recognition for our work in nearly all major practices and industries. Our clients around the region and the globe rely on us for a broad array of country-specific and cross-border services, and particularly for transactions, proceedings, and matters that cross at the intersection of business and government. We advise corporations, financial institutions, governments, and other entities planning to establish or increase their presence in Latin America. Additionally, we provide legal counsel to Latin American entities seeking to expand into other parts of the world or obtain financing or capital in the international markets. The group includes multicultural lawyers in Beijing, Tokyo, Houston, London, Madrid, Mexico City, Miami, Denver, New York, Paris, São Paulo, and Washington, D.C., who have strong backgrounds in energy and natural resources, banking, business and regulatory law, corporate, debt and equity capital markets, litigation, project development and finance, and structured finance. Our lawyers not only speak the language, but many of them are also from the region so they can easily navigate the different cultural nuances and have strong relationships with local counsel and the business community. Where do you see the biggest business development opportunities in the region? 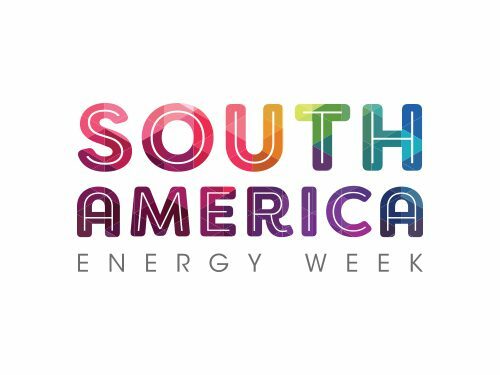 Oil and gas in all sectors including midstream, particularly in LNG, storage, and the expansion of existing facilities in Argentina, Mexico, and Colombia, and new opportunities in the onshore and offshore areas. We see a migration of investors in renewable energy to markets with interesting upcoming prospects in Colombia, Mexico, and Brazil. If you could give a piece of advice to new investors in the emerging market, what would it be? The investing climates vary considerably by country; many countries present attractive investing opportunities due to their comparatively favourable regulatory conditions, consumer base; government support; and strategic interest in the proposed investment and projects. In certain industries, the availability of competitive financing from local and government sources; the access to infrastructure; and transparency of the legal and governance frameworks are key to the long-term success of a future investment. PPP projects are a fundamental tool in many Latin American countries for developing robust energy infrastructure, and infrastructure in general. It is, therefore, important to consider the political environment in each country and how that environment might impact PPP development now and in the future, as well as how said political environment may facilitate or obstruct new project development. The region is at an inflection point. The near future will depend on the vision of policymakers allowing the private sector to plan and invest in long-term strategies for durable growth, as well as promoting a realistic balance in the energy matrix. Access to capital for projects in E&P and the review of the best strategies for investing in renewable projects are some of the key issues for our sector. José Luis Vittor focuses his practice on infrastructure and other project development and finance transactions, primarily assisting clients in the energy and infrastructure industry. He also has extensive experience in commercial and corporate transactions, public and private partnerships, and international arbitration. He is a former president and a member of the board of the Instituto Argentino del Petróleo y Gas, Houston, an independent business relations trade organization comprised of multinational energy companies. He also is a member of the International Advisory Board of the Museum of Modern Art of São Paulo, Brazil.